The best leash for training your dog is a good quality leather leash. 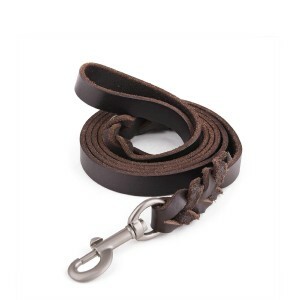 A leather leash won’t slip in your hands and won’t hurt your hands when the dog pulls or tugs. A good one to try is the Lavien Braided Leather Leash from Amazon.